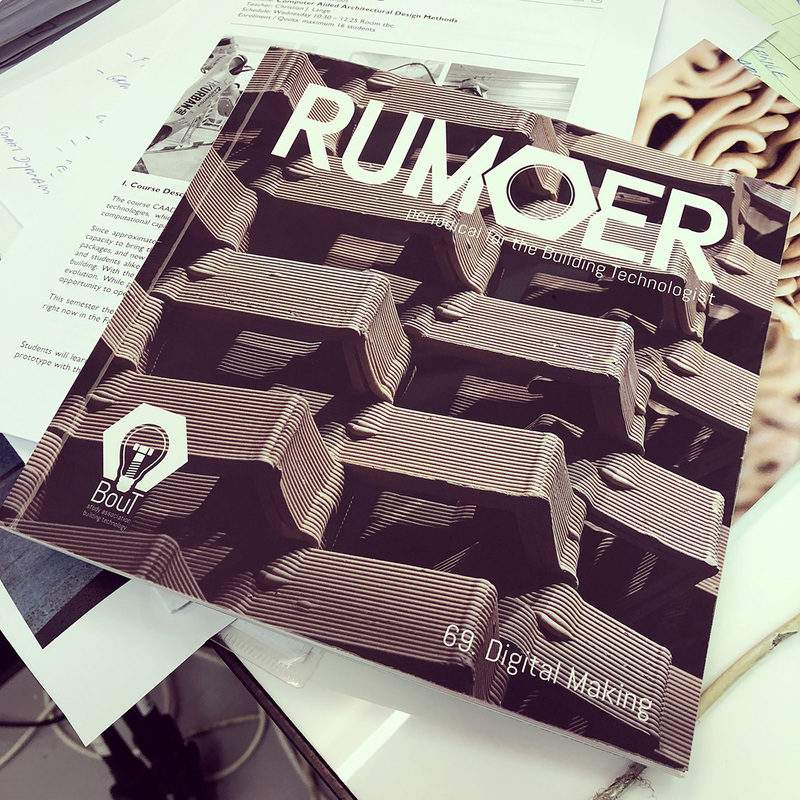 Very happy to share that the CeramicInformation Pavilion was included in the latest publication of Rumoer. 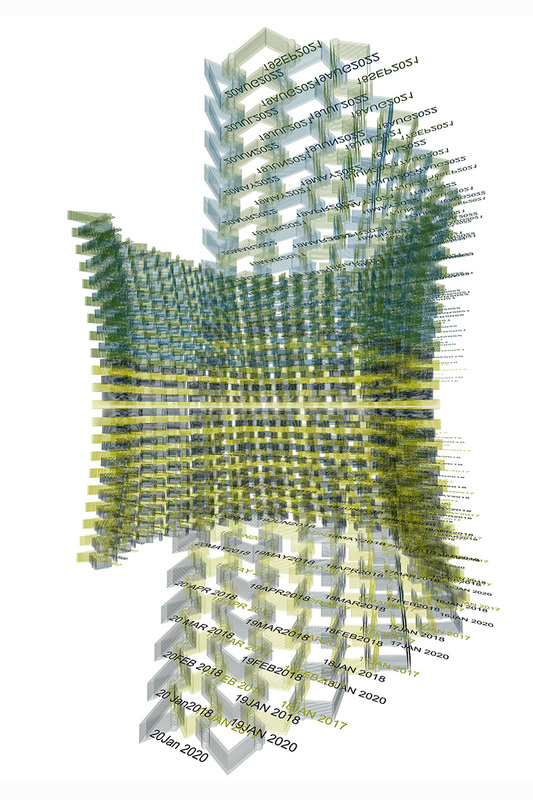 The issue 69 of the periodical for the building technologist, which is publsihed by Tu Delft is on Digital Making. 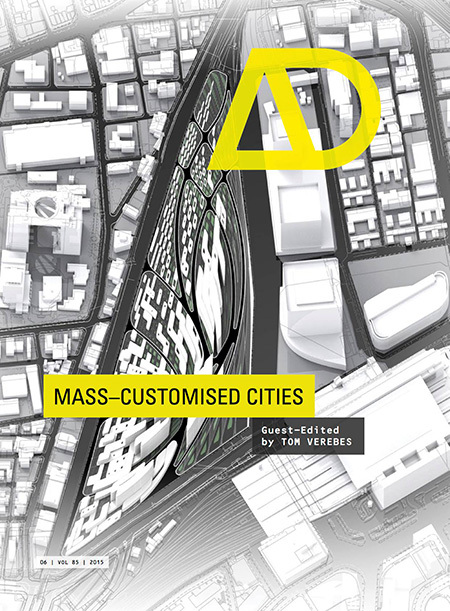 Happy that we also made it onto the cover. 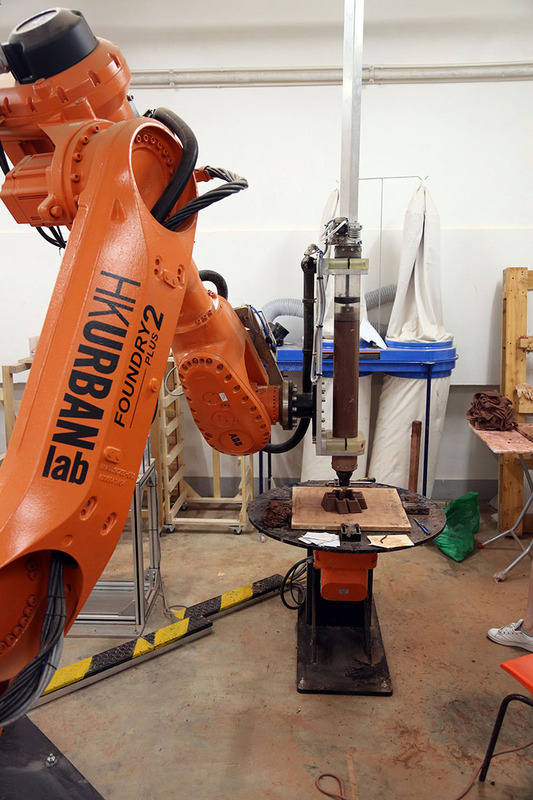 I am very happy to share the recent outcome of our fall activities in the Robotic Fabrication Lab at HKU. 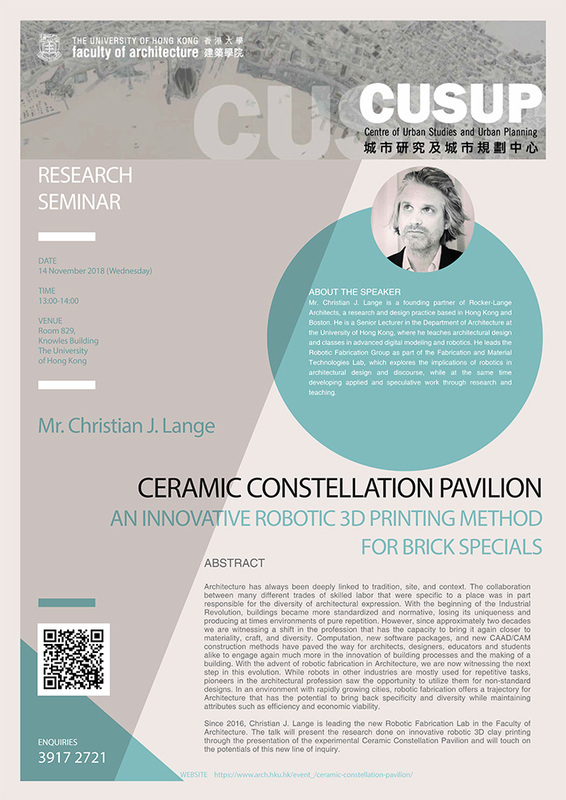 The project entitled “CeramicINformation” is the second larger outcome of the Lab and is part of an evolving series, which aims to reconcile the material intelligence of vernacular crafts with the specificity and flexibility promised by digital design and fabrication technologies.The project is currently on show at the Bi-City Biennale of Urbanism and Architecture (UABB) in Shenzhen, China. 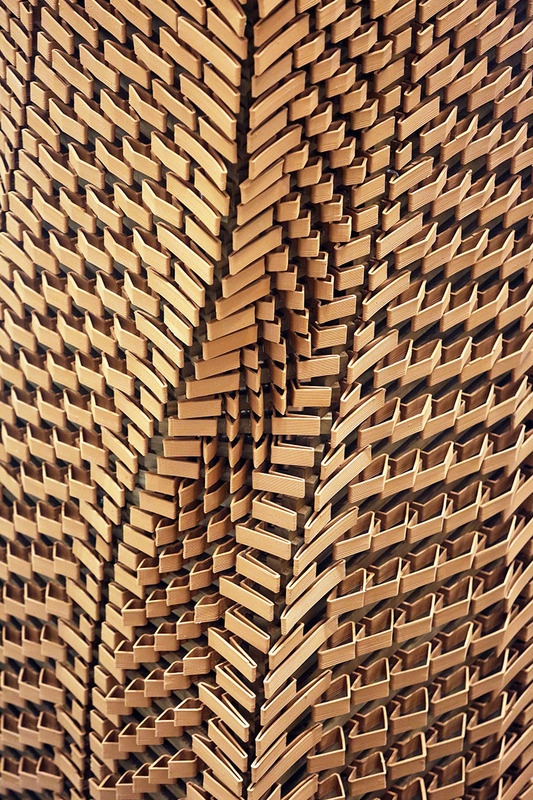 This particular iteration explores the process of construction, and seeks to find an appropriate level of automation suitable for emerging and transitioning economies. 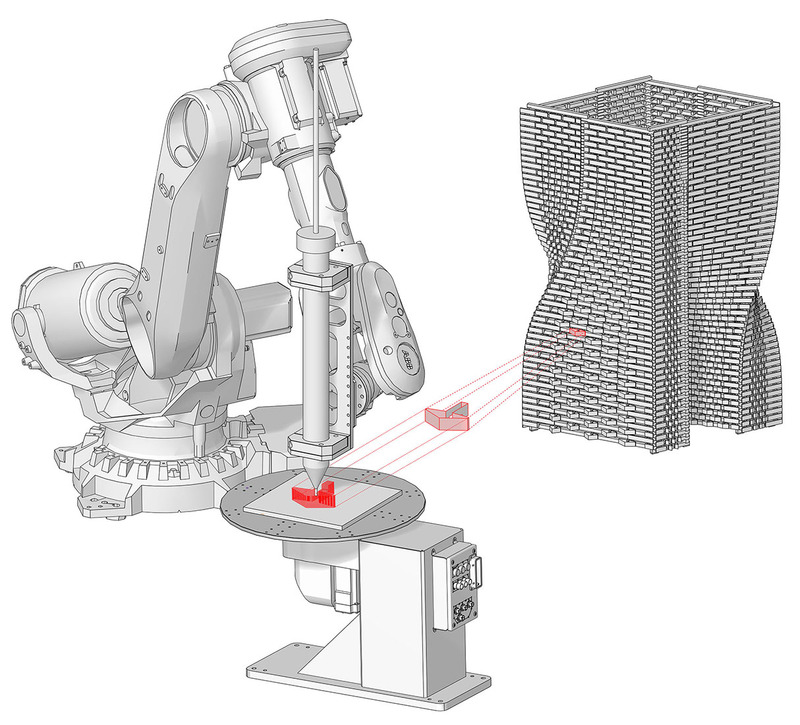 Each of the approximately 1000 components that make up the experimental structure is unique and has a specific immanent relationship to its neighbors. 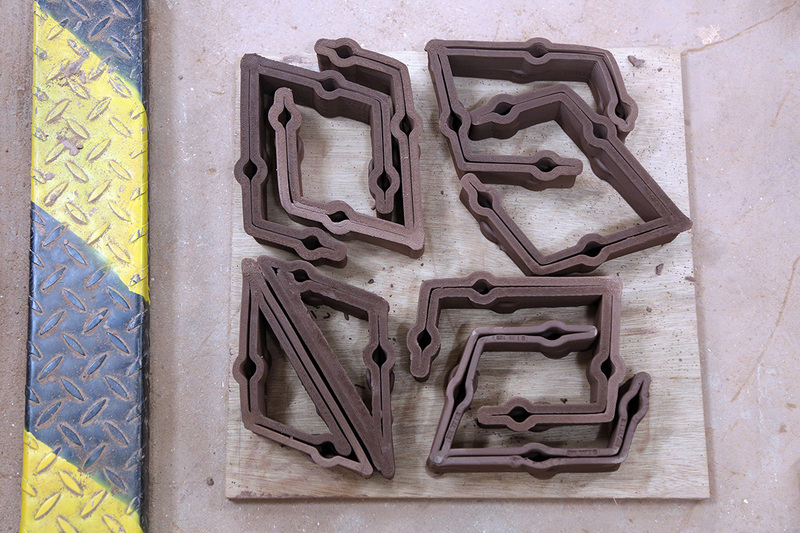 This approach allowed the complex construction to be realized using unskilled labor, over a short period, without the need for typical architectural drawings. 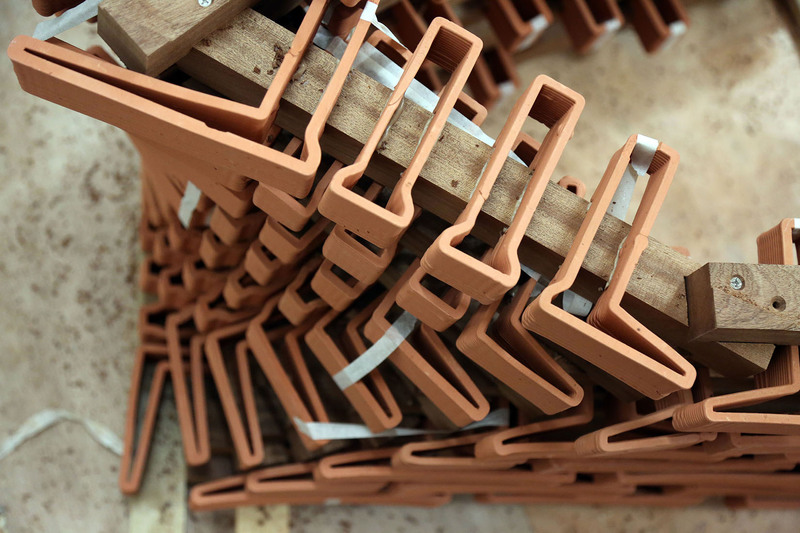 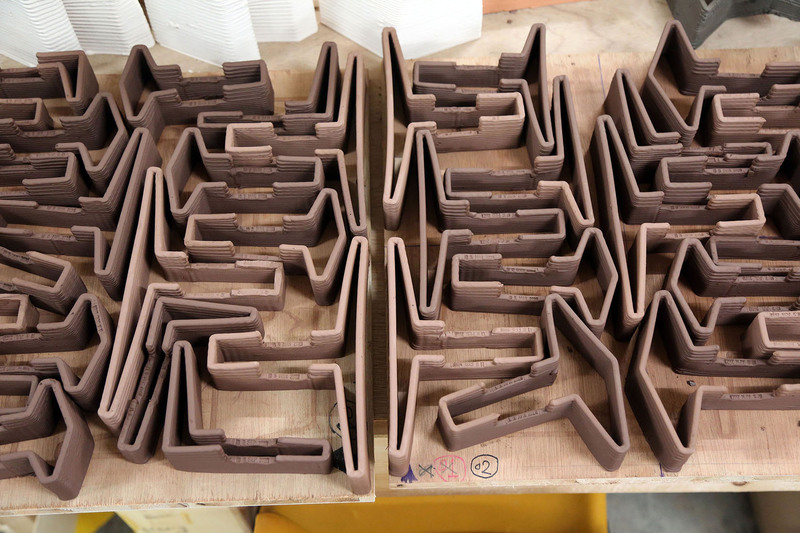 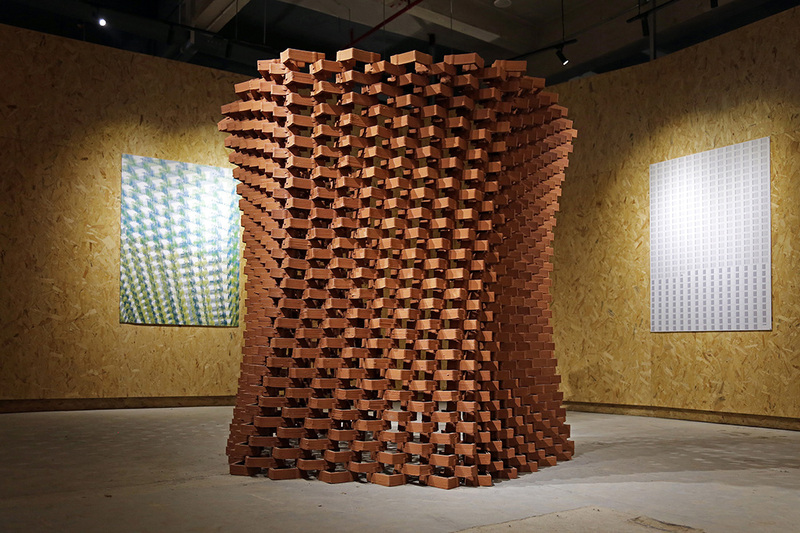 As a point of departure, this project examined the ubiquitous terracotta brick – common in modern Chinese construction, and explored it’s potential re-shaping through the process of robotic 3d printing. 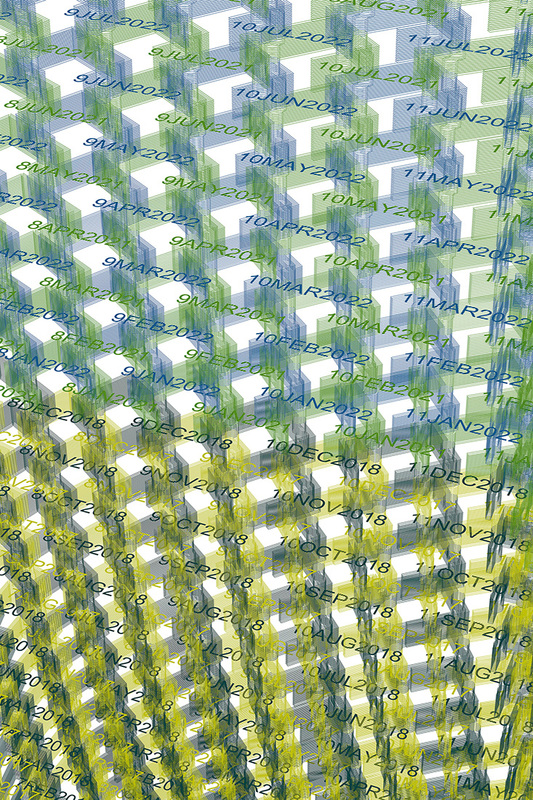 Approximately 1.5million lines of code were generated – with each brick containing an average of 1400 individual target-points. 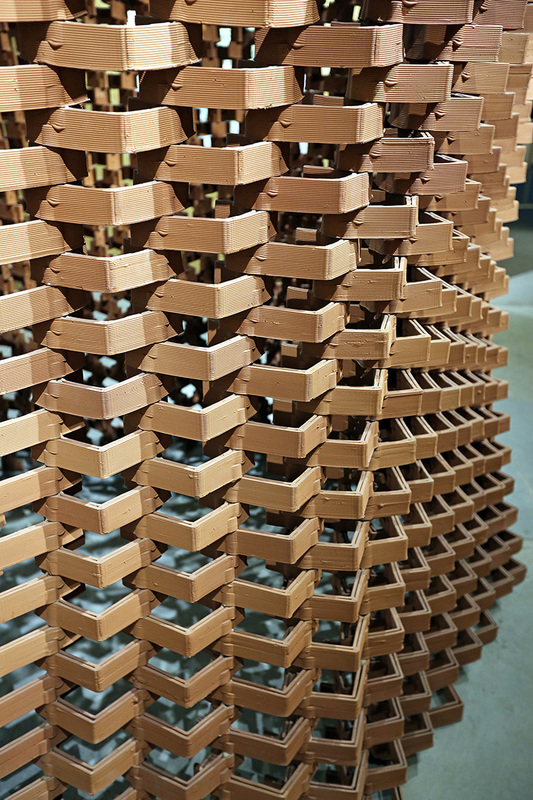 The bricks were manufactured over a period of 20 days before the lightweight elements were shipped to the site and assembled into the multifaceted wall. 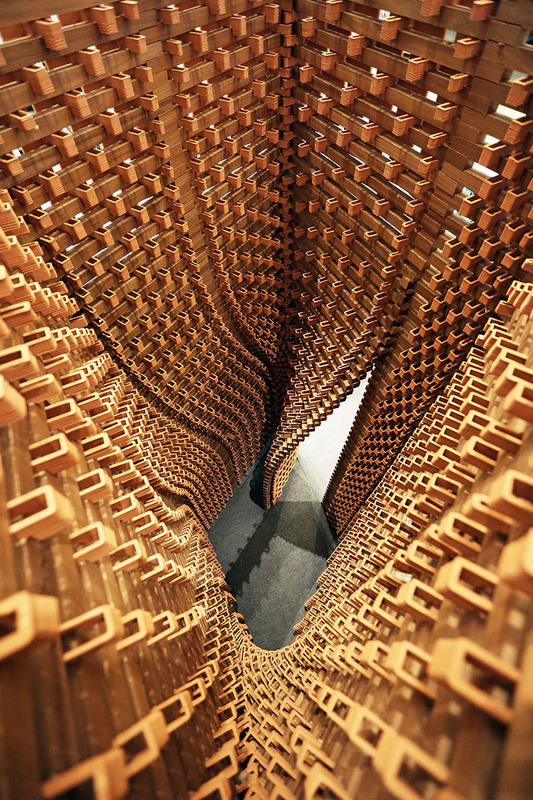 The project not only highlights the new possibilities for architectural expression, but also the capacity these systems have to change the way in which we fashion the built environment. 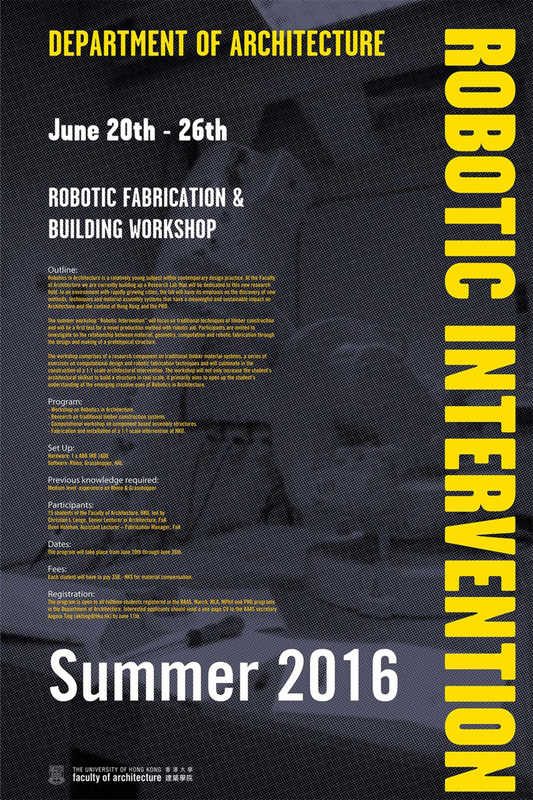 I am very happy to share the recent outcome of our spring activities in the Robotic Fabrication Lab at HKU. 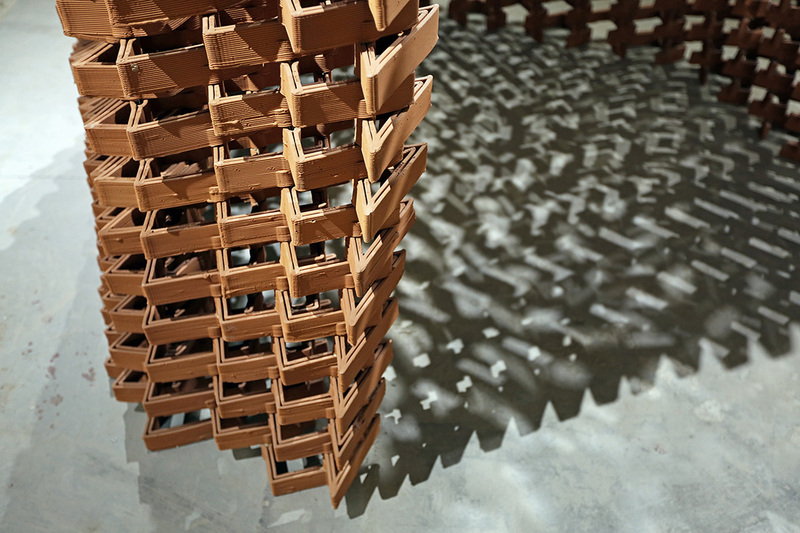 The project entitled “Ceramic Constellation Pavilion – Spatial shifts through robotically fabricated terracotta bricks” represents the first research work in the newly formed collaboration between Sino Group and the Robotic Fabrication Lab. 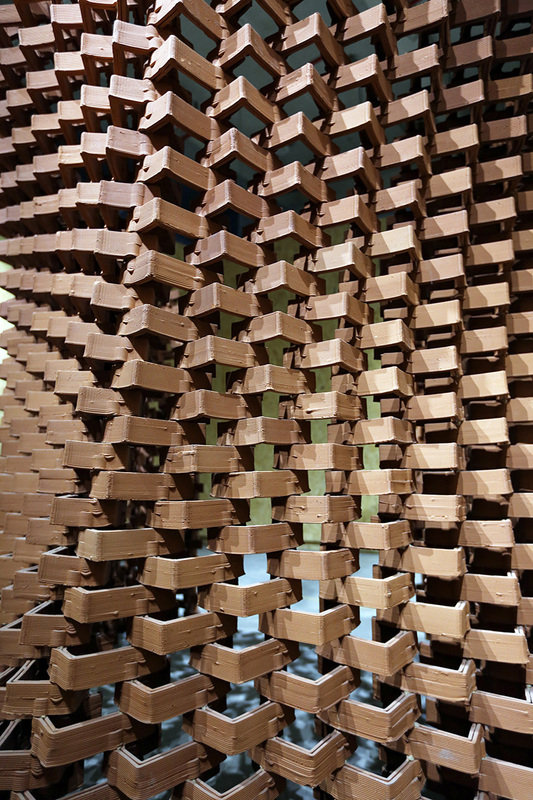 The Pavilion, which was guided by Christian J. Lange, Donn Holohan and Holger Kehne was built by students utilizing robotic technology. 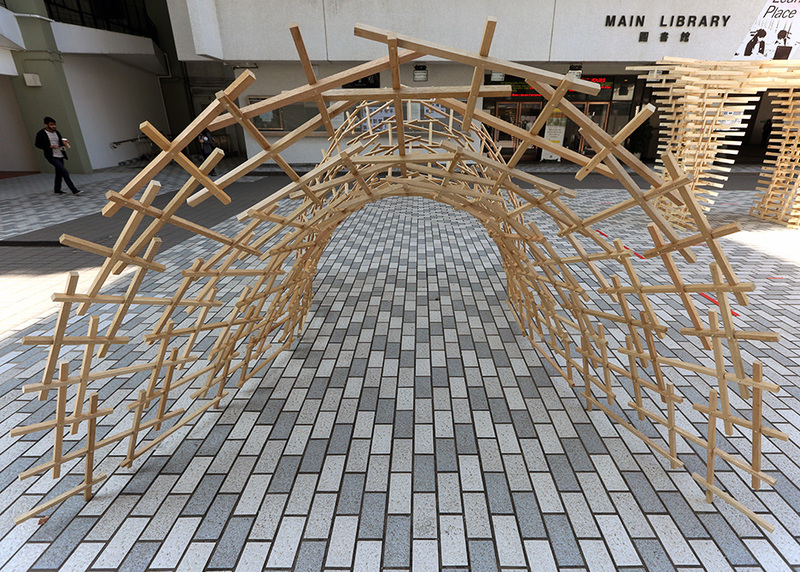 The research initiative that supports arts, cultures, and technology is intended to foster cultural awareness of new technologies for the built environment. 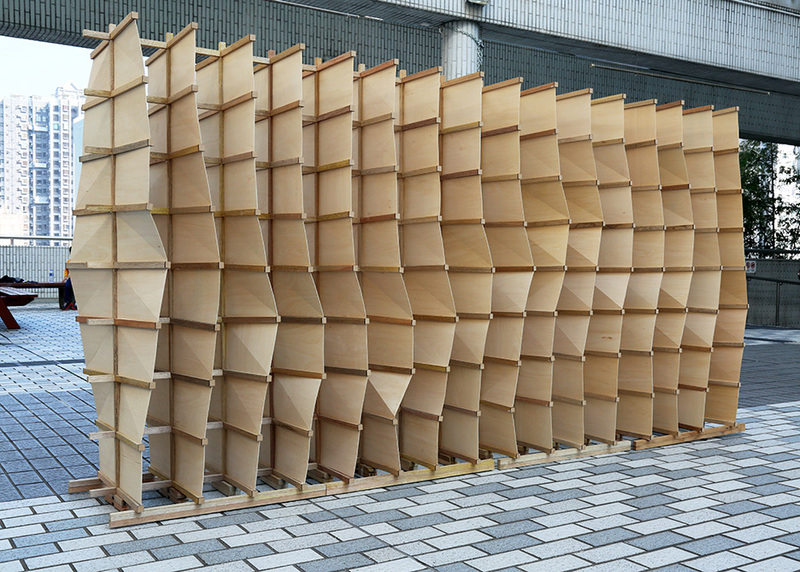 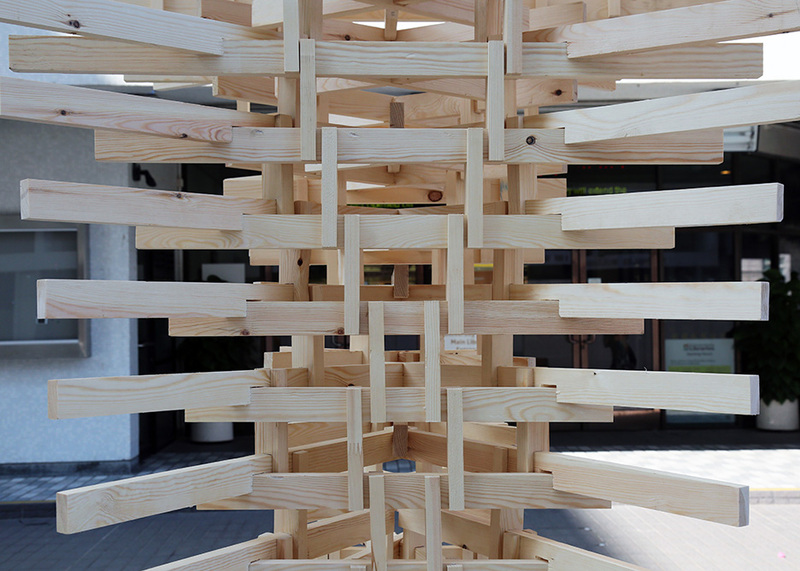 In a context that has been largely shaped by standardization and mass production, the project seeks to overcome the constraints of today’s architectural production through the introduction of a structure made entirely of non-standard components. 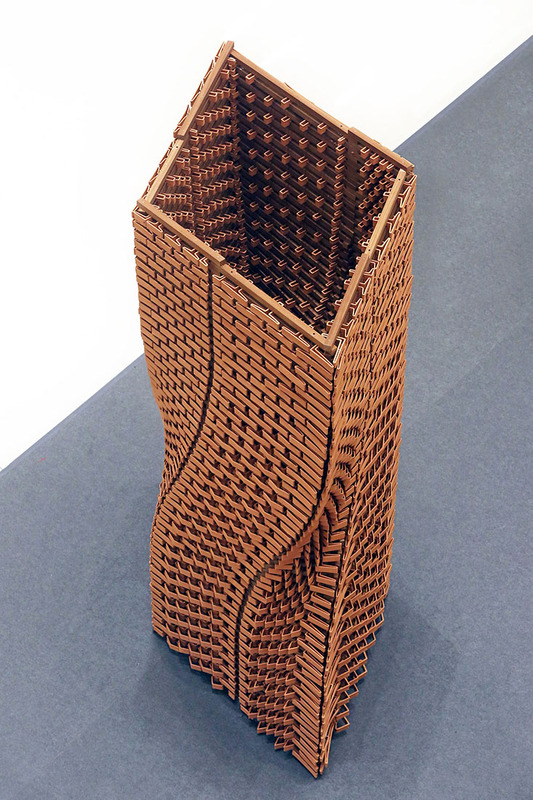 This inaugural workshop of the “Sino Group Robotic Architecture Series” utilized terracotta clay to test the possibilities and limits within robotic fabrication and to revitalize a material system that has a significant tradition in Asia. 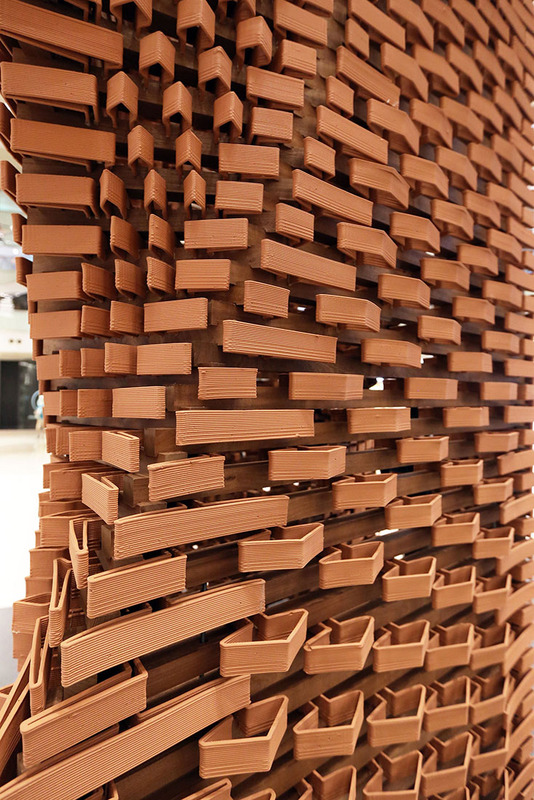 Departing from traditional brick bonds, the 3.8m tall project articulates a load-bearing composite structure with timber – where each of the nearly 2000 3d printed terracotta bricks is unique and different, enabling varying degrees of transparency, morphological shifts, and new experiences. 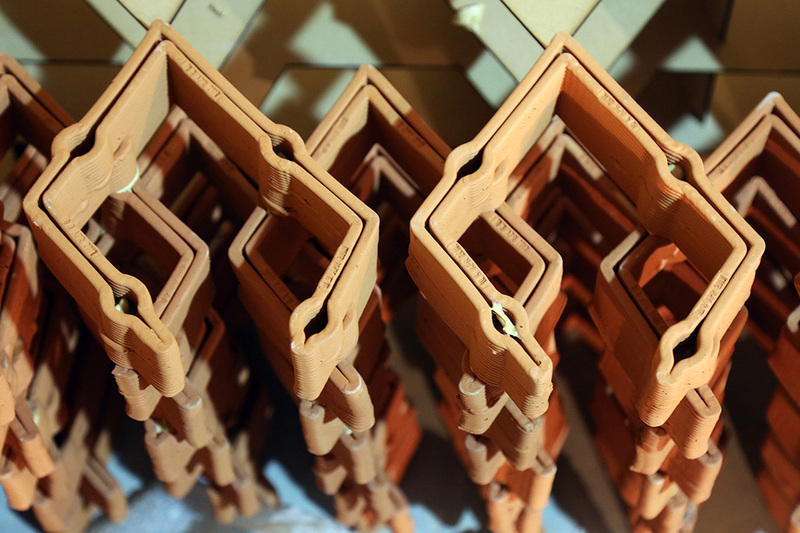 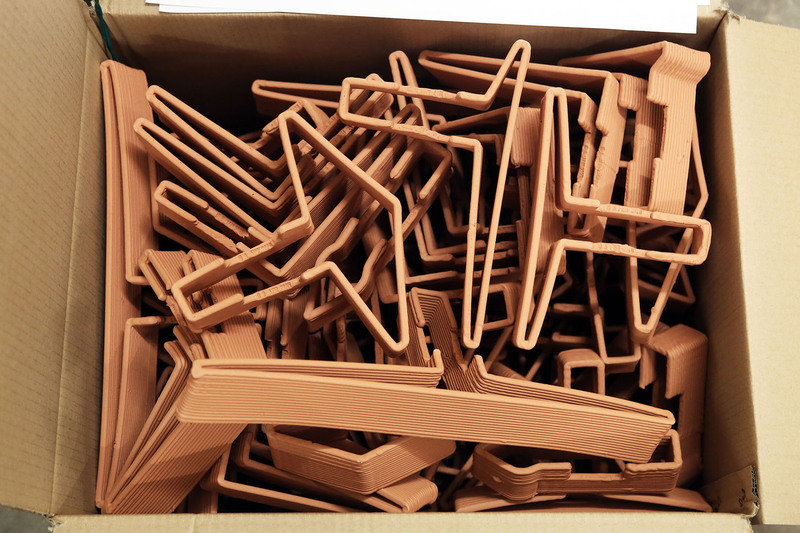 Around 700 kg of raw terracotta clay was printed over a period of 3 weeks into individual bricks that were then fired at 1025 degrees Celsius. 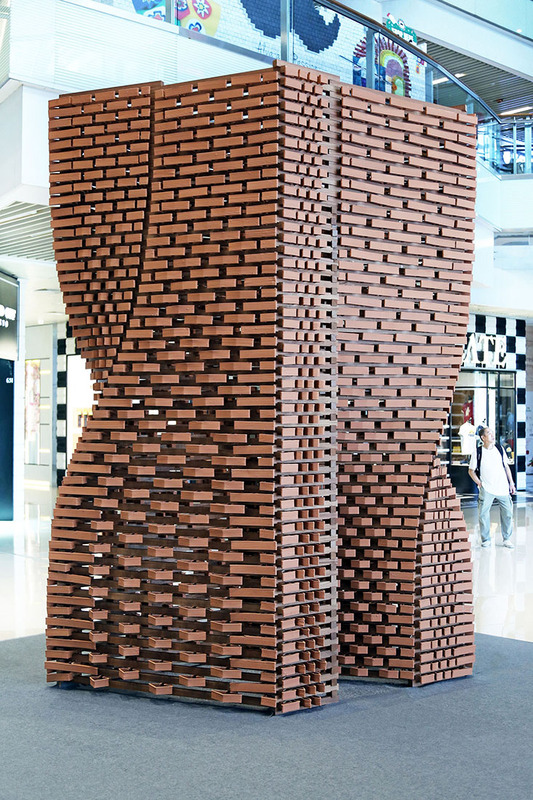 With 2-3 minutes average printing time for each brick, the pavilion is one of the first of its kind in the world that incorporates this specific material system. 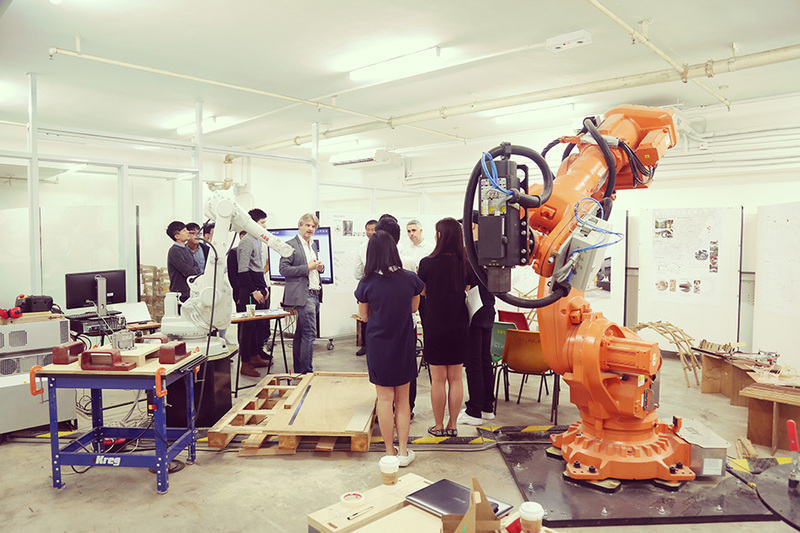 All components were fabricated with the equipment in the newly fitted Robotics Lab at HKU’s Faculty of Architecture and assembled during a ten-day workshop by students from the Department of Architecture. 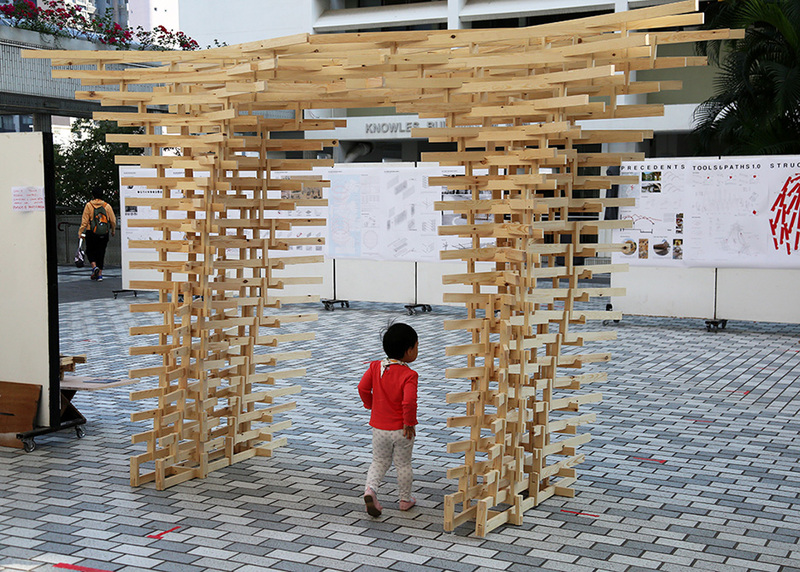 The project was recently on show in the North Atrium of Olympian City, West Kowloon and will find its new home soon on the campus of the University of Hong Kong. 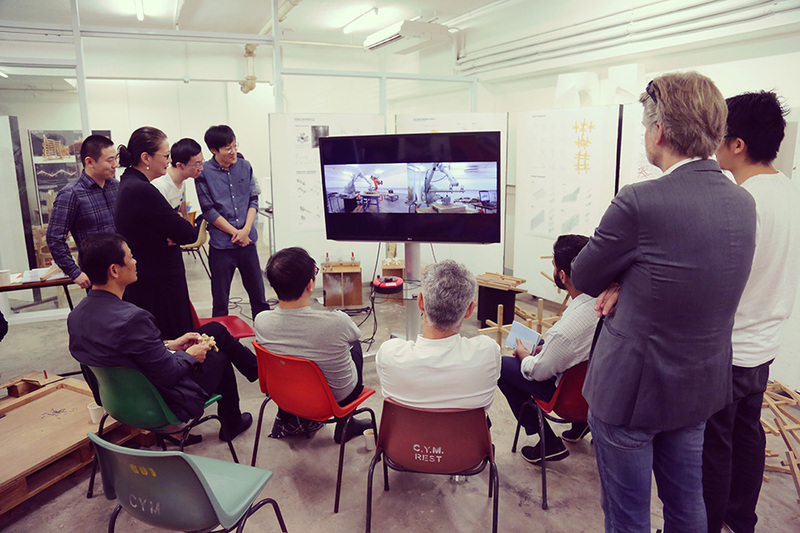 At last, we can show some photos of the final outcomes of the latest studio taught by Christian J. Lange at The University of Hong Kong. 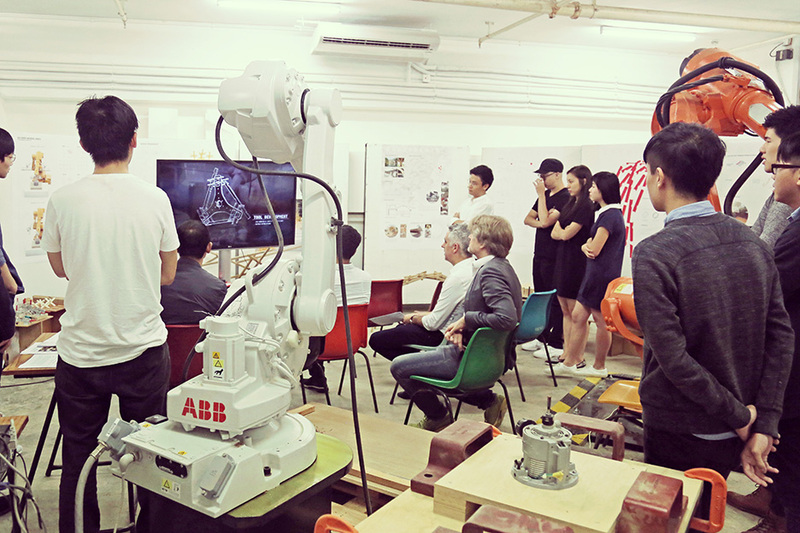 The M.Arch I studio entitled “Elements: Robotic Interventions 0.2 – Towards new territories in Architecture” had two main objectives. 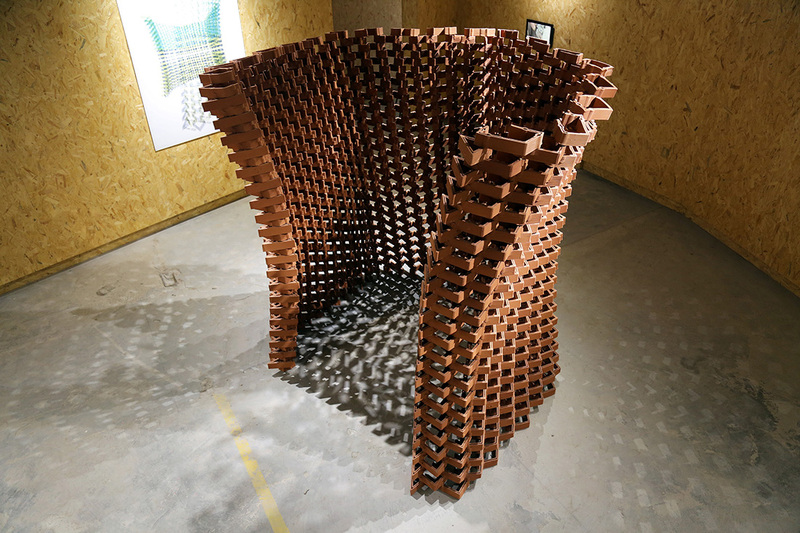 On the one hand it was a hands-on investigation on how we as architects can generate new technologies, material systems and craftsmanship with the aid of the robot, and on the other hand, the studio looked in how we can apply those for the development of architectural elements such as the column the roof and the wall. 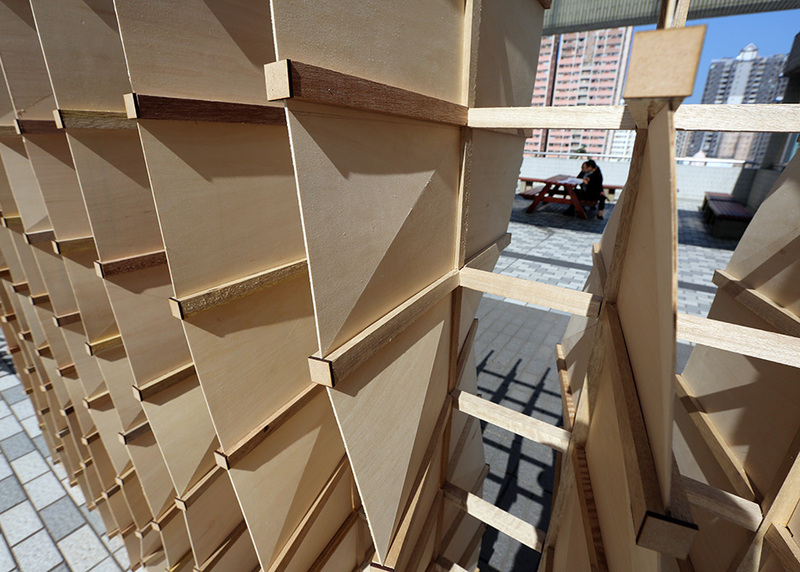 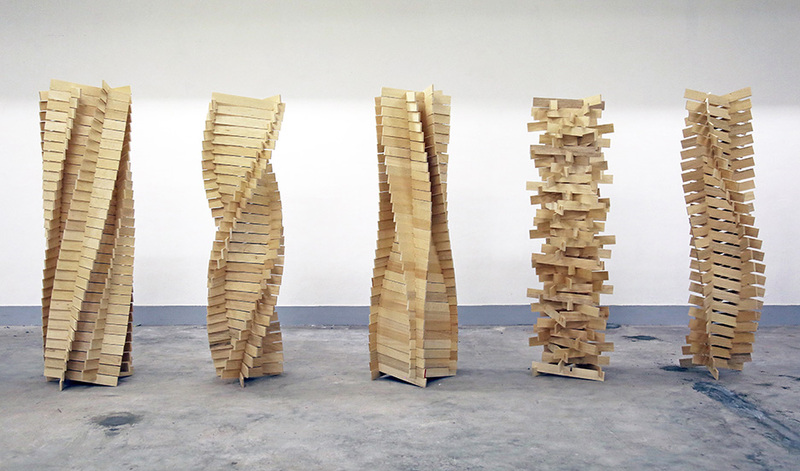 Students eventually built three medium scale prototypes that were based on three different traditional timber construction techniques. 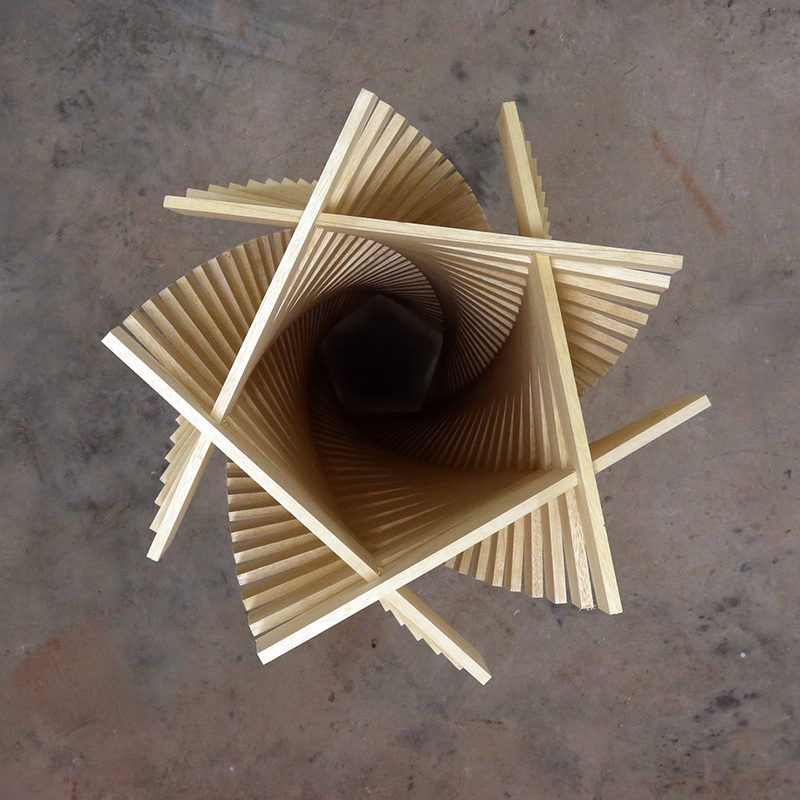 The first being the “Dou Gong” bracketing system, which usually is the structural network that joins columns to the frame of the roof in traditional Chinese architecture. 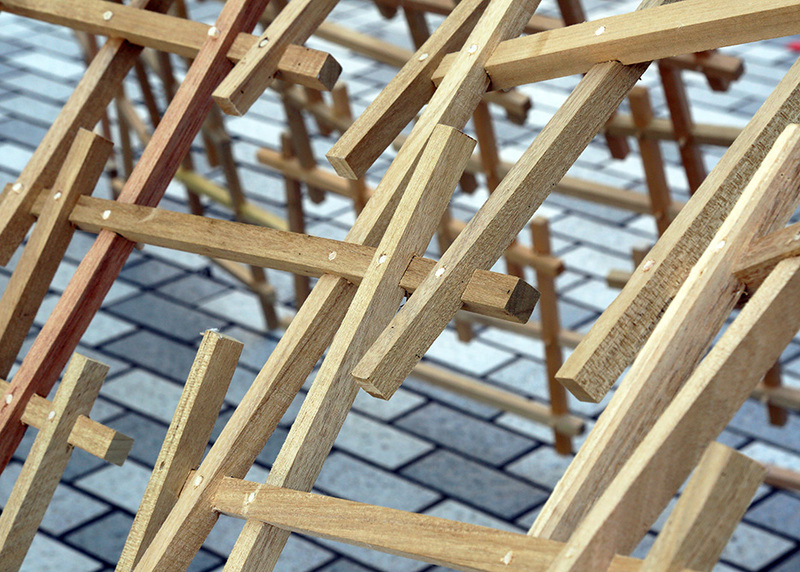 The second being the reciprocal frame structures that can be found in the timber woven-arch bridges in the Fujian and Zhejiang provinces. 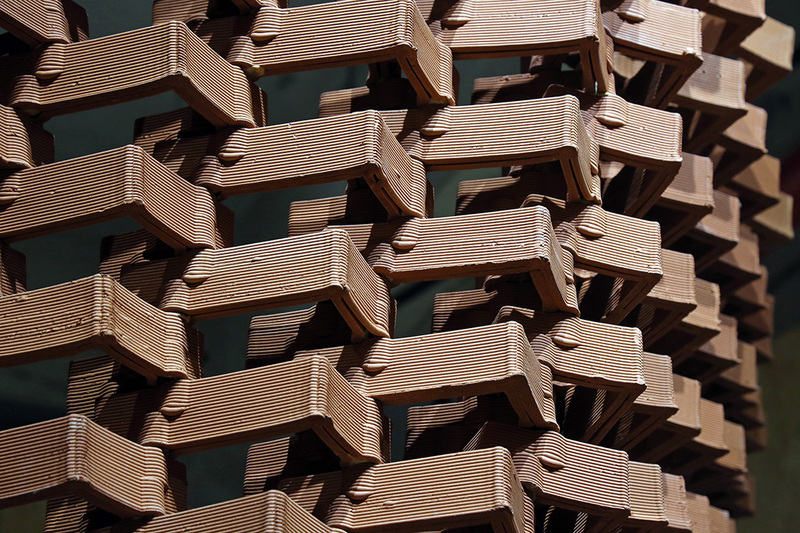 And the third being the “Luban Lock” or the so-called “Chidori system” a design concept derived from old Japanese/ Chinese toys, and that elegantly produces a six-legged hidden joint. 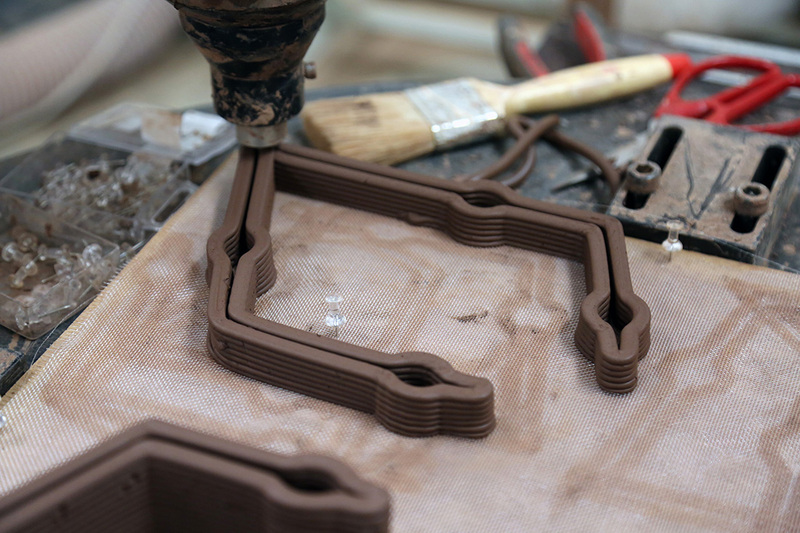 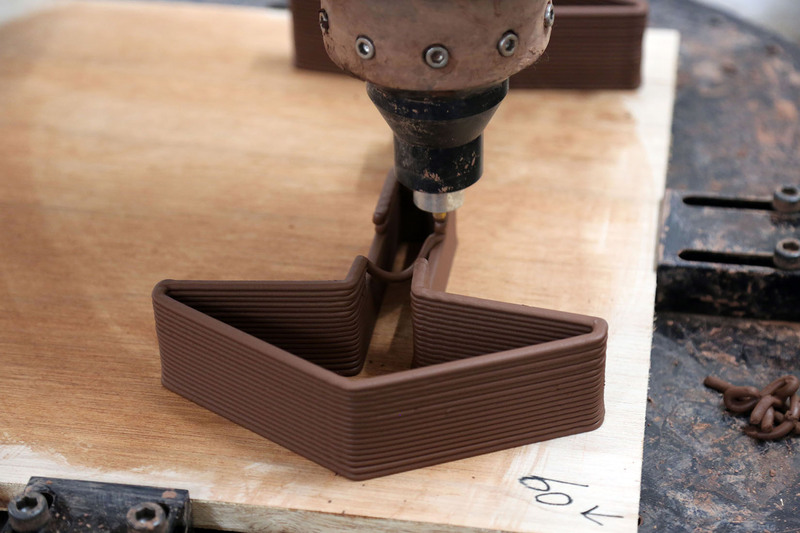 We are pleased to show some photos of the outcomes of the recent Robotic Fabrication Workshop. 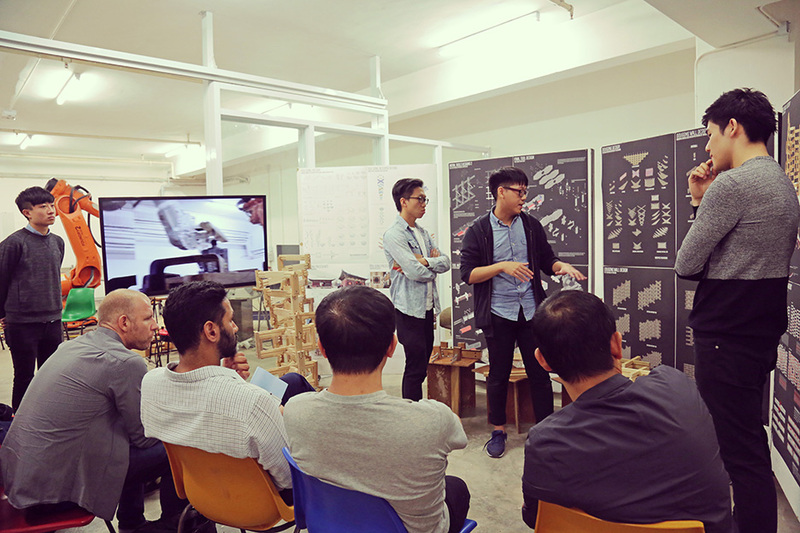 The workshop took place during late June 2016 at the University of Hong Kong and was led by Christian J. Lange and Donn Holohan. 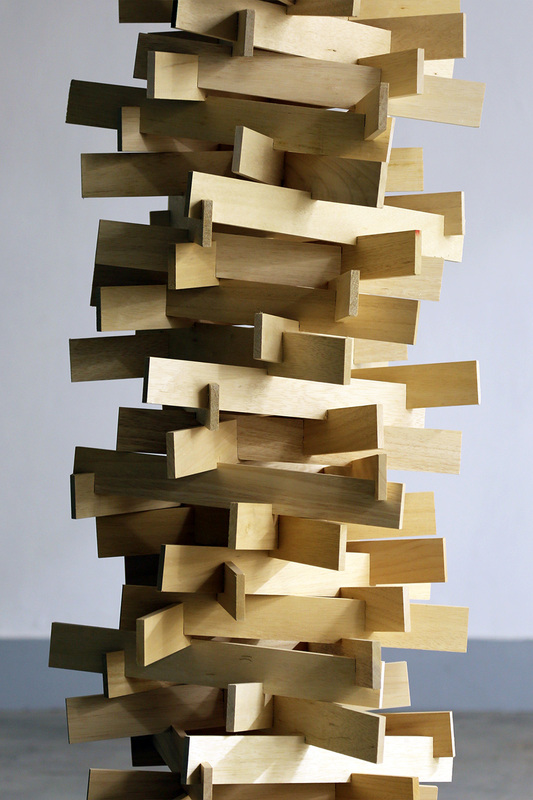 The project took on the typology of the tower as a point of departure to study the potential of low energy timber construction systems in conjunction with robotic fabrication.